I was very exited for this part of our trip! 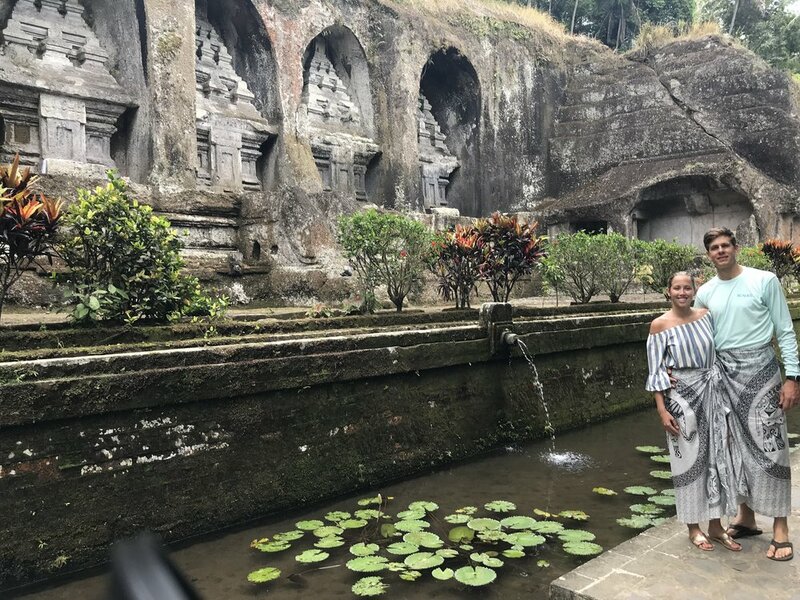 Ubud is a MUST if you plan to travel to Bali. It’s in the middle of the country and you basically are in the middle of the jungle/forest wherever you are! A driver from @sebatusanctuary picked us up from our Airbnb in Canggu to take us to the hotel in Ubud! But, of course, we made a few stops along the 1 hour trip turning it into about 5 hours! It’s very common in Bali to hire drivers - maps can be inaccurate & roads can be super dangerous. A half day trip (4-5) hours only costs about $25-$30 and a full day trip 8+ hours only costs about $50! Monkey Forest: A “sanctuary” where there are monkeys everywhere! 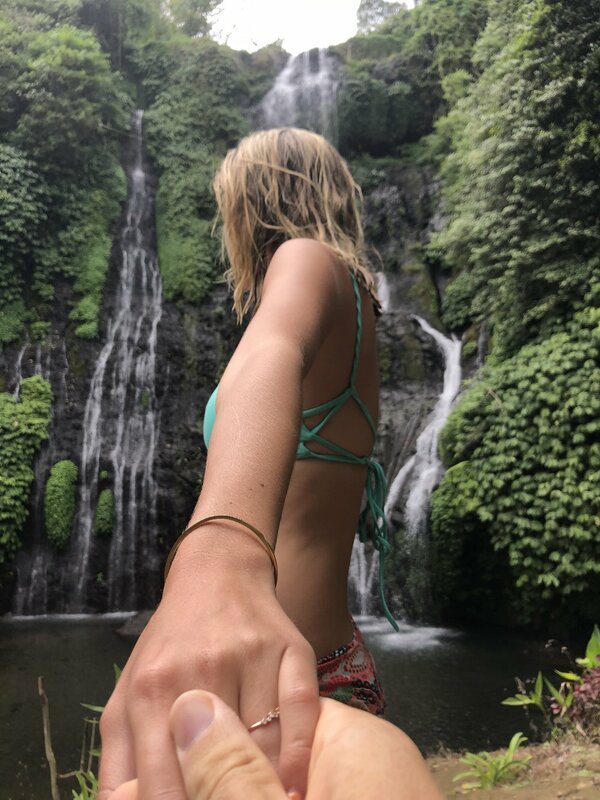 You are in the middle of the jungle, super cool bridges, and walkways and trees! It was really cool. I will say I got a little too comfortable with the monkeys and one bit me! NO JOKE! 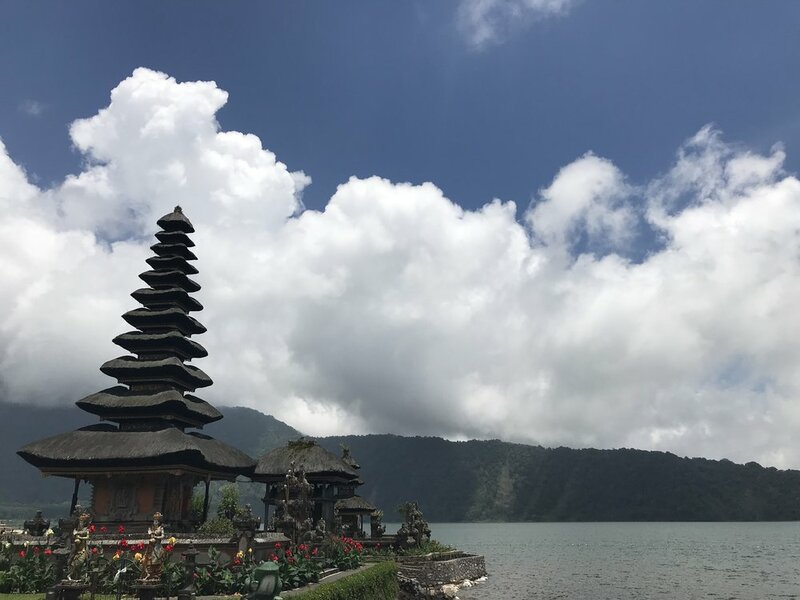 Check out my Bali story highlights for mid-bite video/photo! I used to have a scar from it, which I thought was so cool. But it’s gone now. Don’t worry, I asked 2 different people that worked there if I was ok, and they assured me I was fine. The bit didn’t puncture the skin badly, it was more of scratch. I immediately put hand sanitizer on it and then they sterilized it more. Always bring hand sanitizer with you! About 5 min. down the road was the entrance to an amazing train to hike - the Campuhan Ridge Walk which is like a trail straight through the forest. Cars and bikes won’t make it and all you can see are palm trees. Of course we arrived around 1:00 and so we were extremely hot and by the end looked like we had taken a shower with our clothes on. But what a view. After a long day of travel and exploring, we made it to our beautiful private villa at Sebatu Sanctuary and spent the evening cooling off in the pool and eating dinner at the restaurant watching the sunset. It was absolutely heavenly. All you could hear were birds and all you could see were palm trees for miles! We woke up with the roosters around 7:00 am. Since you are in the middle of the jungle, you hear every animal and creature. It’s unreal! We stayed in the most amazing tent. And when I say tent, it was gamping, an outdoor shower and bath made of stone... 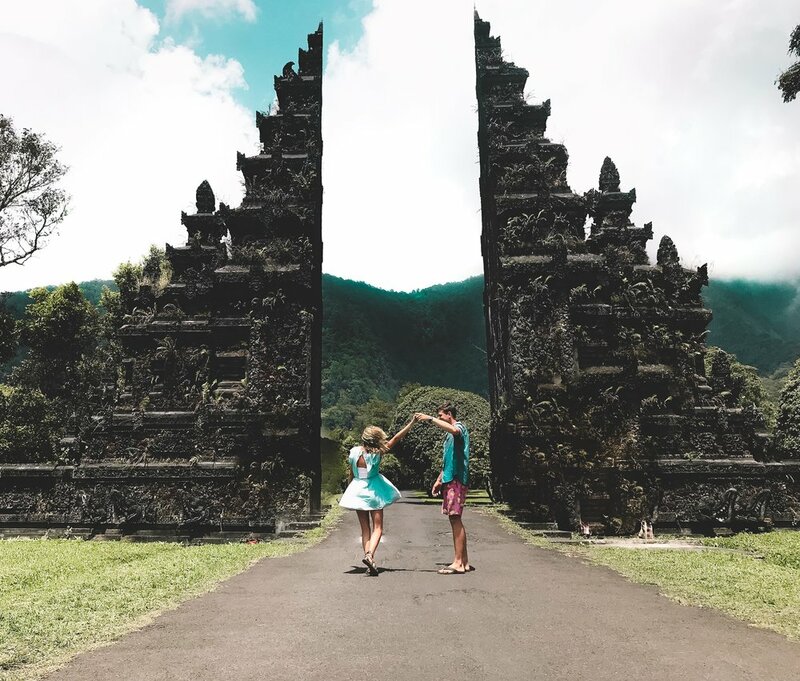 Check out my full post about Sebatu Sanctuary! Had an amazing breakfast at our hotel @sebatusanctuary! The pricing is so affordable and the food is delicious. It was really nice to have a dining option where we stayed. 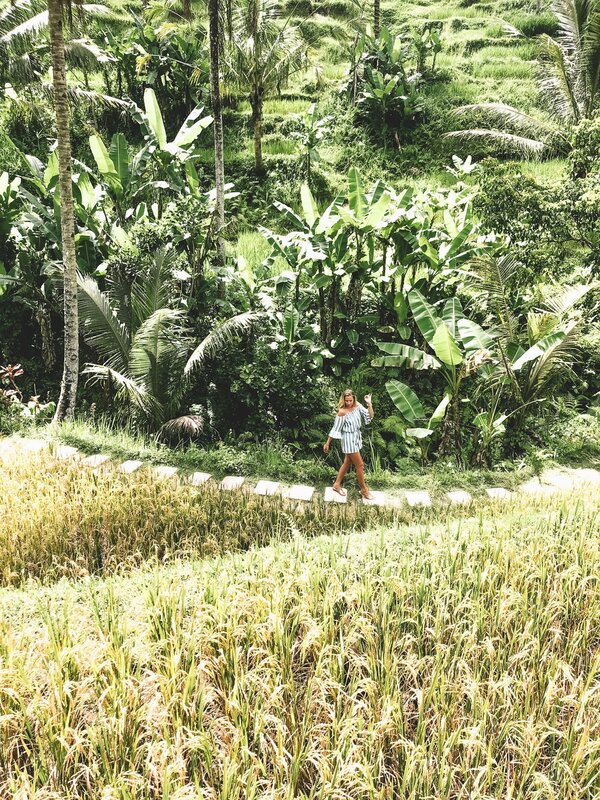 Unlike Canggu, Ubud isn’t known for all it’s “trendy” eating spots. Canggu is packed with the most delicious places on every corner. So, if you’re staying in Ubud, I recommend staying at Sebatu where you can eat on site! Saves you time and you know your getting quality food! Next stop: the famous Tegallalang Rice Terraces- absolutely breathtaking! 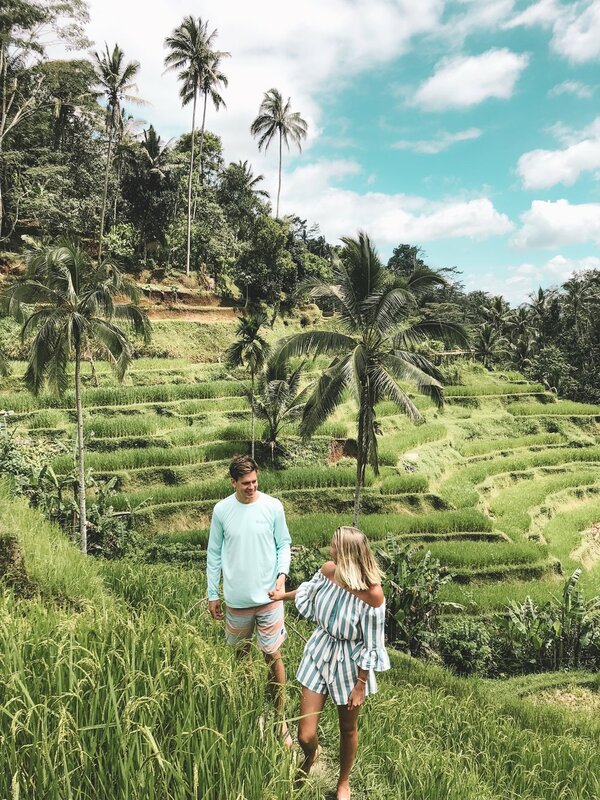 Bali has rice fields all over, but this one is well known for its vastness and how you can actually walk through the terraces! As the day came to an end, we wanted to find some food & a pool to watch the sunset. We looked up a map and googled a bit and found @wannajunglebar - see image below!! 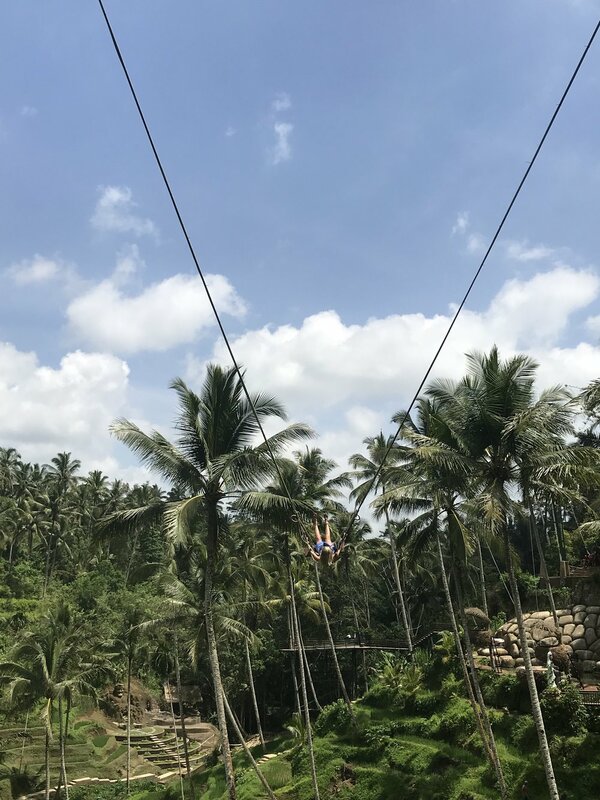 In Ubud you’re in the jungle of Bali so the roads twist and turn and are covered by trees. It was about a 20 min scooter ride that felt like a theme park ride. Christian LOVED it. Like I mentioned in my Pt. 1 post, don’t rent scooters unless you are experienced driving them. We saw many tourists with bandages all over, and bad battle wounds from accidents. After freshening up back at our “tent”, we went to dinner at another hotel in town and got massages!! If you ever go to Bali- get a massage. Or 8. They are amazing and literally cost about $10-$20 for an HOUR! Summer was waiting at breakfast when he got back and then we ate together- yummy açaí, mangosteen, and coffee! Bali is known for their coffee beans and fruits - mangosteen is a must try! Stopped at fruit stand on the way home and tried a ton of different bali fresh fruits I didn’t even know existed or how to say them ! Stopped in the main city area of Ubud. It was a Hindu holiday (full moon) so there were some crazy ritual ceremonies going on that we drove by!! (Check my IG story highlights!). We walked around and shopped during sunset, and got garlic bread and Mac and cheese as appetizers at @milkandmadu before heading back to Sebatu Sanctuary. We got back to our amazing hotel to shower and just sit a moment to relax before dinner. We ended up being too full from appetizers and opted to hit the hay early and skip dinner. When you’re in the jungle and it’s pitch dark out at 8 pm, and you had a supppper productive day you don’t feel so bad about heading to bed! Especially when youll be up before 7 with the rooster! Caught a ride on their VW bus to @milkandmadu for breakfast with our luggage! It was Thanksgiving day back home and yet we were in shorts and t-shirts, eating eggs, acai bowls, and fruit. Felt a little strange.